So ever since those Revlon lip butters caused such a stir I've been obsessed with lip butters. I love lipstick but during the day I usually feel too 'done up' when I wear it. 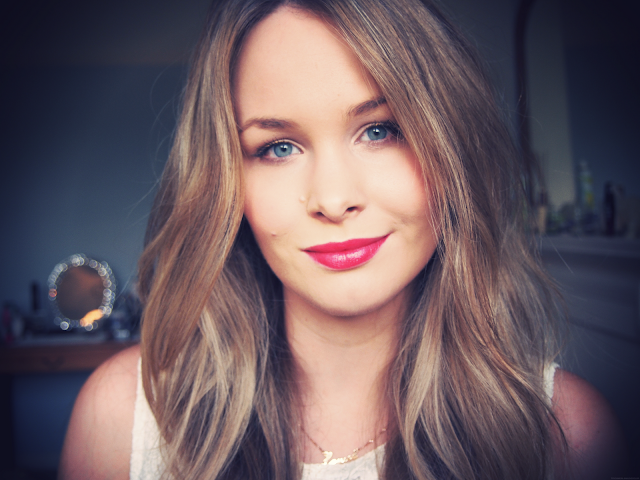 So these lip balms/lipsticks are perfect for a little bit of colour and some added moisture (eww gross word). So I thought it would be nice to show some comparisons of some of the lip butters I'm using at the moment. The two brands, w7 and Natio, were both brands that I hadn't heard of before so it was nice to try products that I hadn't heard much about before. 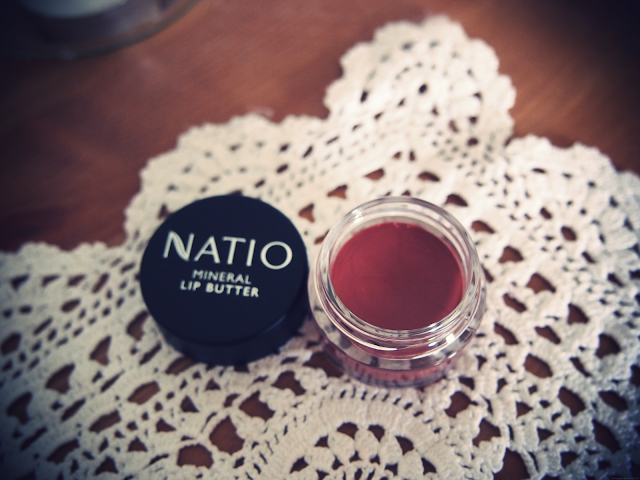 The Natio Mineral Lip Butter £7.00 has the sheerest finish of the three and with it being in a pot it feels much more like a lip balm than a lipstick. I personally am not a huge fan of the pot, I don't really like applying my lip butters with my finger as I find I can never get enough product. However, as this lip butter is only a sheer tint it means that you don't have to be too precise when applying - so using your finger is fine. I really like the very subtle tingling feeling you get on your lips after applying it and it does feel nicely conditioning. I would say this lip butter is for the those of you who are only looking for a hint of colour and are more about the lip balm properties, like your traditional tinted lip balm. I will definitely carry on using this though, especially during autumn/winter. 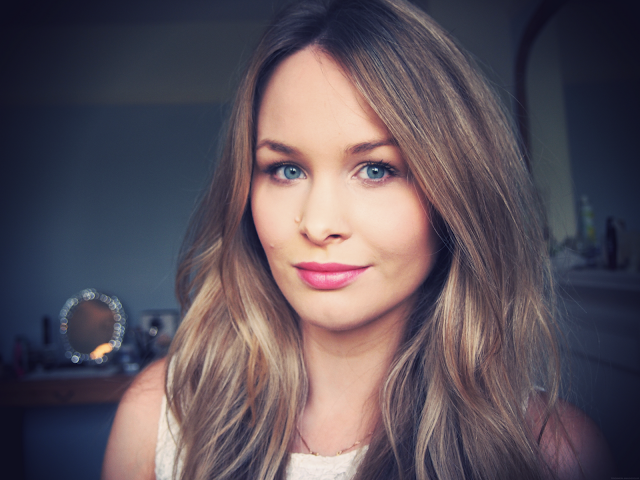 You can buy Natio at Debenhams (links provided). 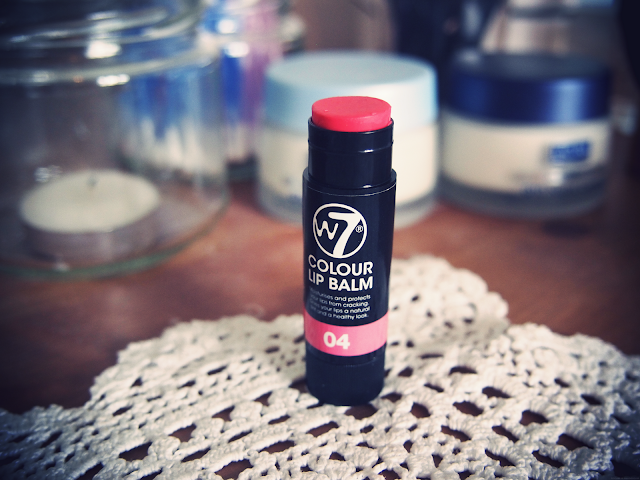 The w7 Colour Lip Balm's £1.45 were a real surprise for me. The packaging leaves a lot to be desired but consider the ridiculously cheap price tag that is forgivable. 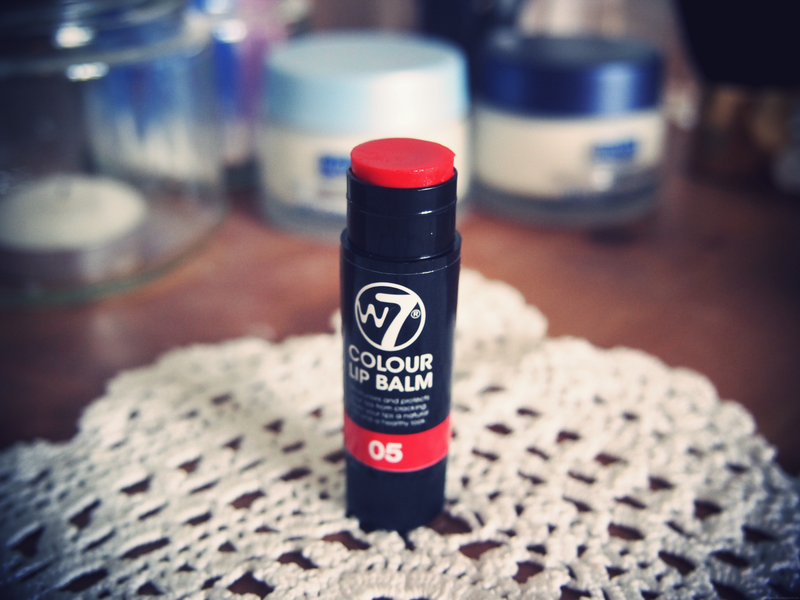 The formula is not as conditioning as Nation lip butter but the colour pigmentation is great considered it is only a lip butter. Both left really strong colours that lasted a fair amount of time, the pink was my personal favourite - a really nice blue based shade. As the the colour pigmentation was so high it was good that it was a traditional bullet, however it was little tricky seeing as the end was flat rather than a slanted point..if that makes sense! w7 are available in some Peacocks stores and Amazon (links provided). I'd love to know what you guys think, of these and any other lip butters! I'm loving lip butters at the moment! The lip balm colours are gorge! Love them. 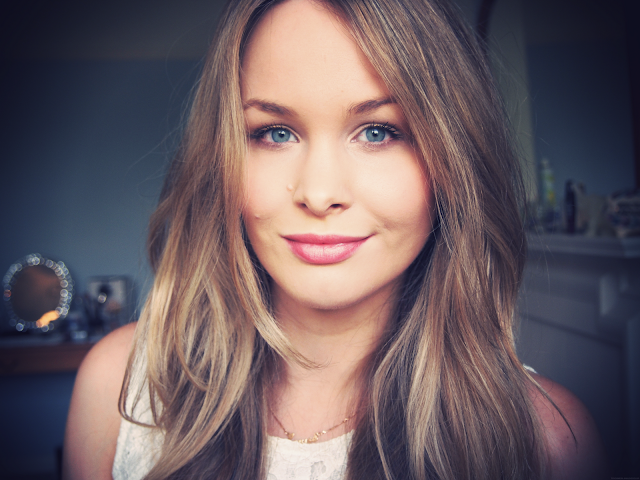 You look lovely in these pictures :) I'm also a big lip butter fan because my lips are really dry!! The W7 lip bams are absolutely gorgeous they have such a great shine from them! Defiantly going to purchase these.